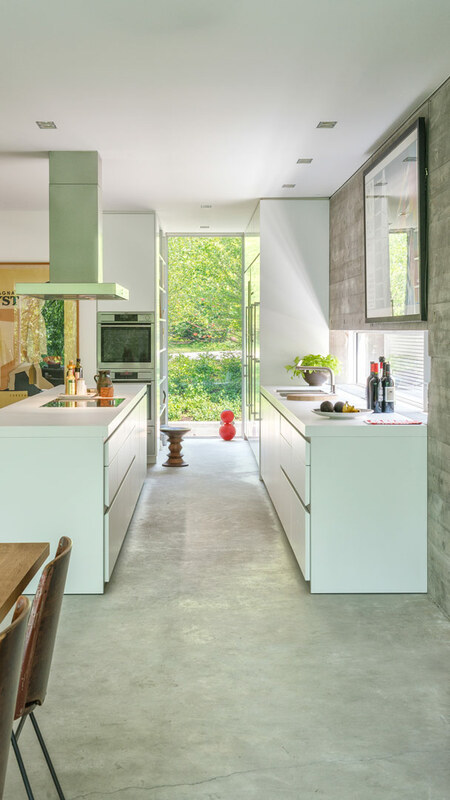 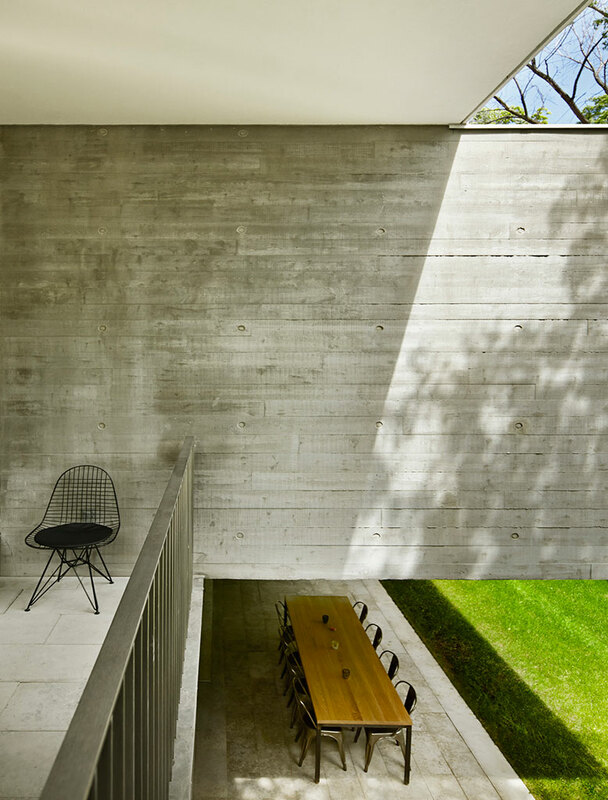 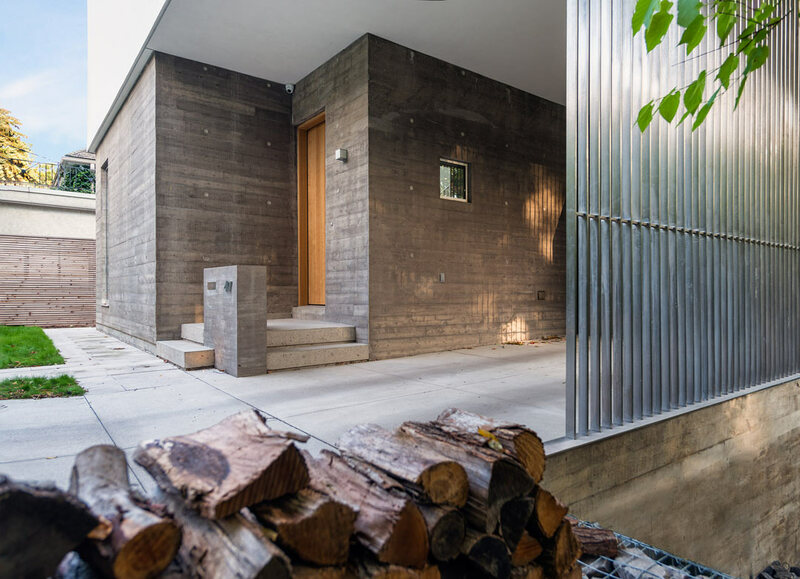 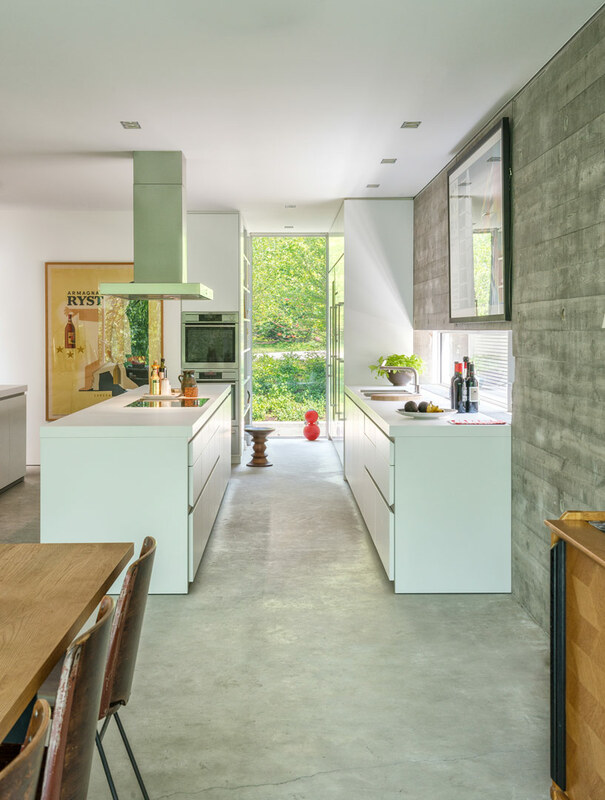 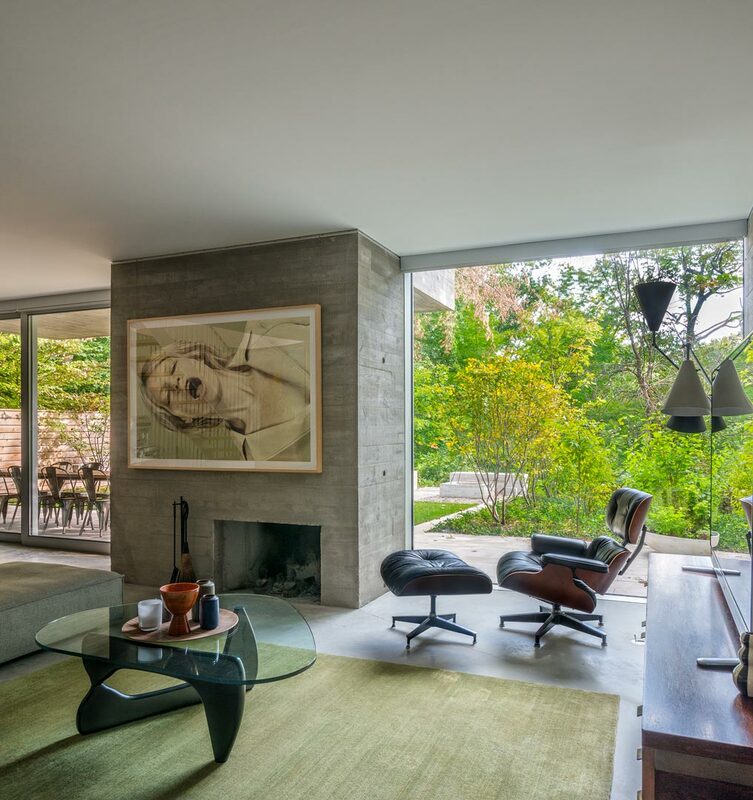 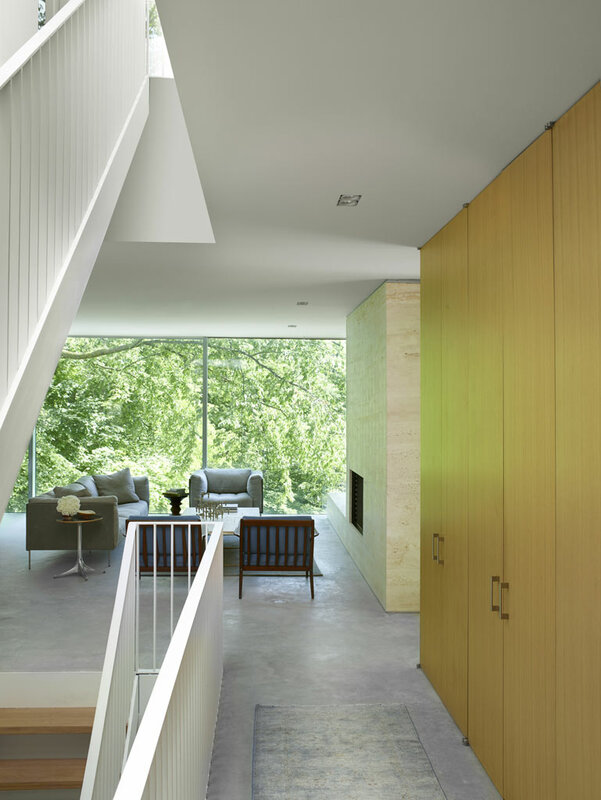 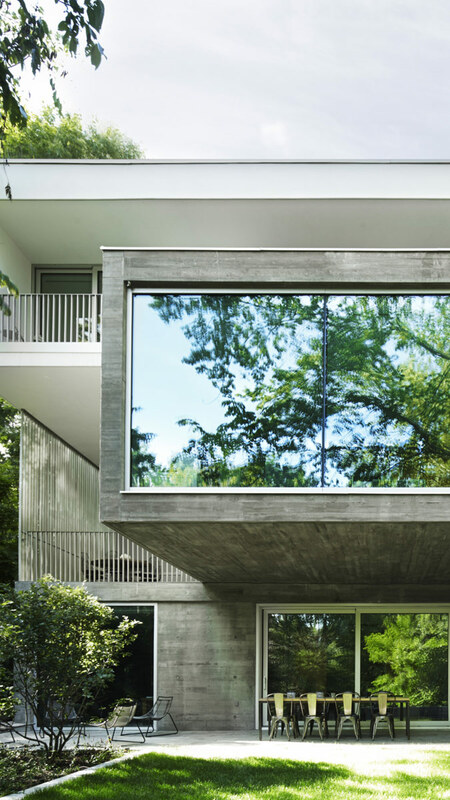 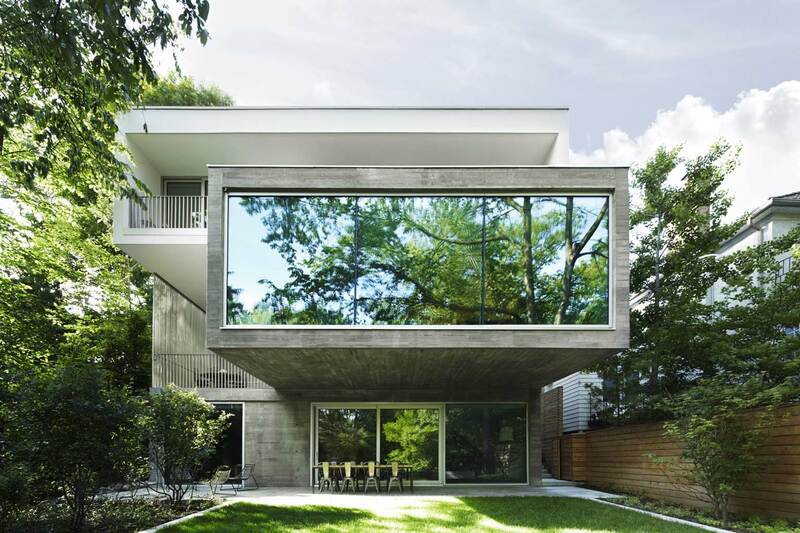 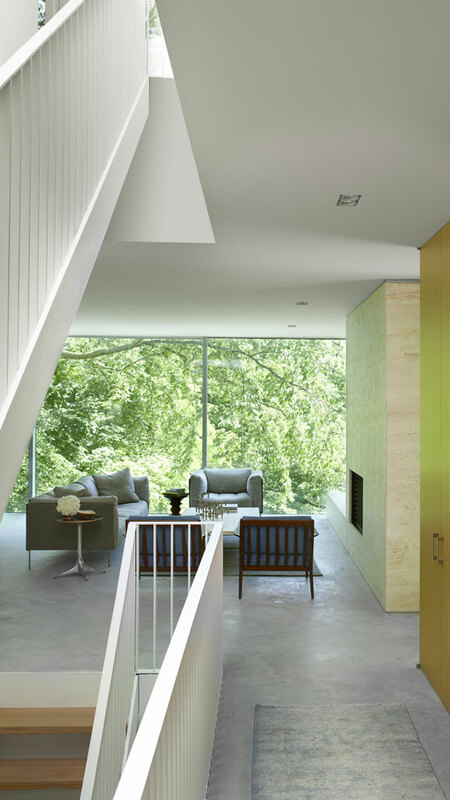 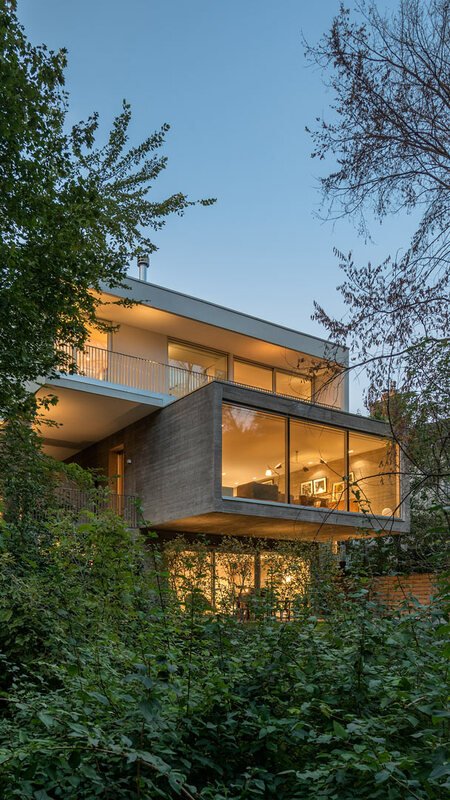 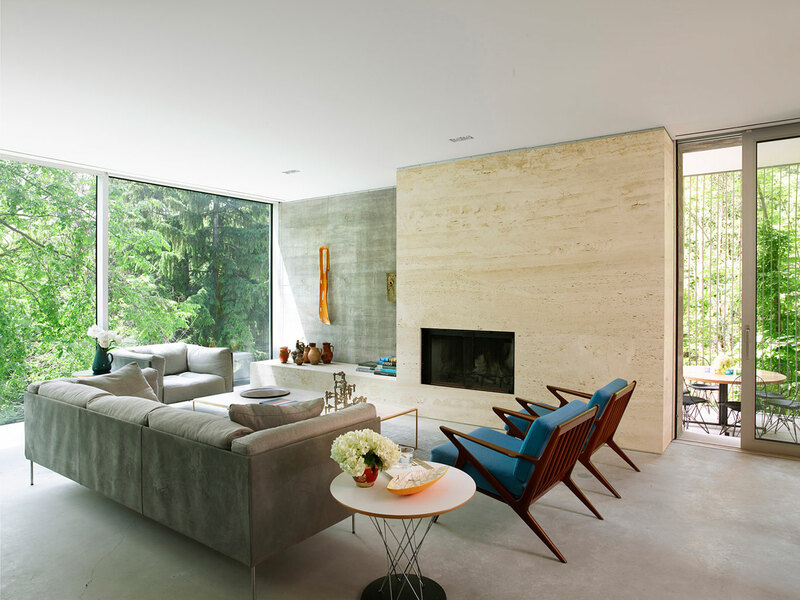 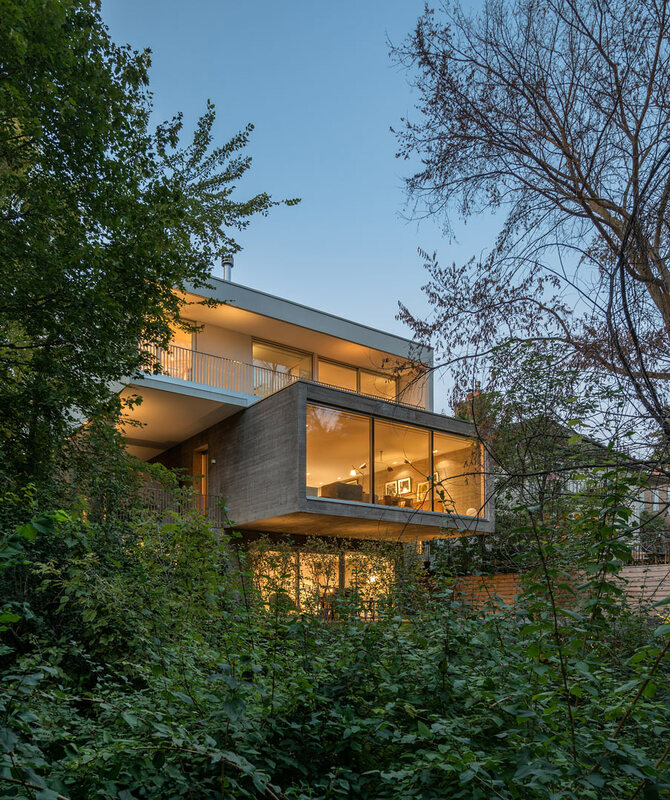 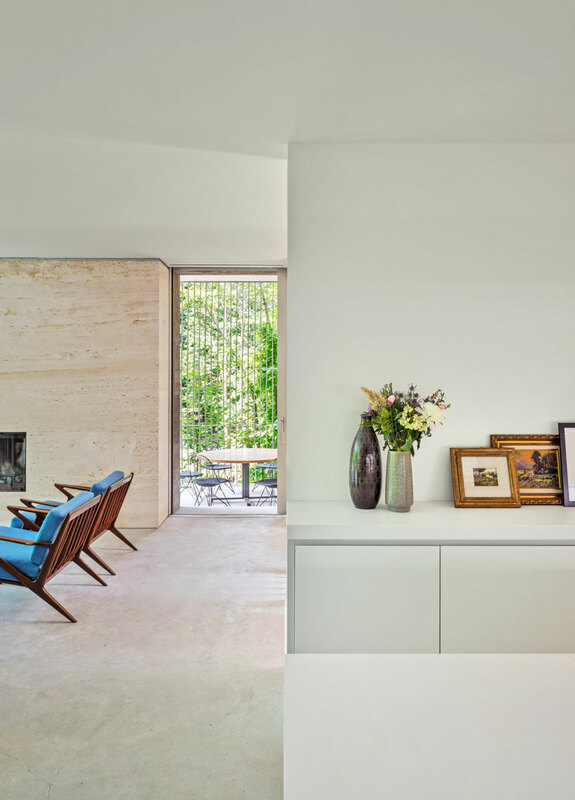 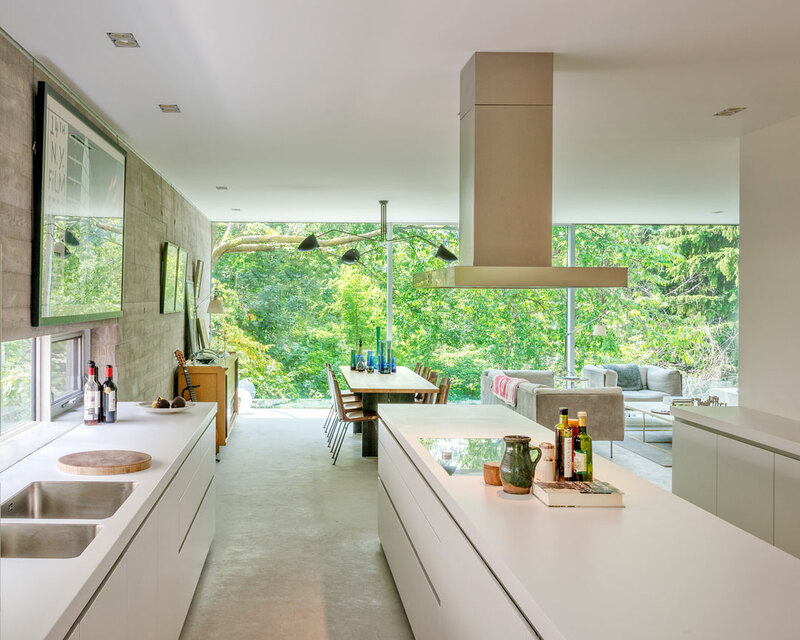 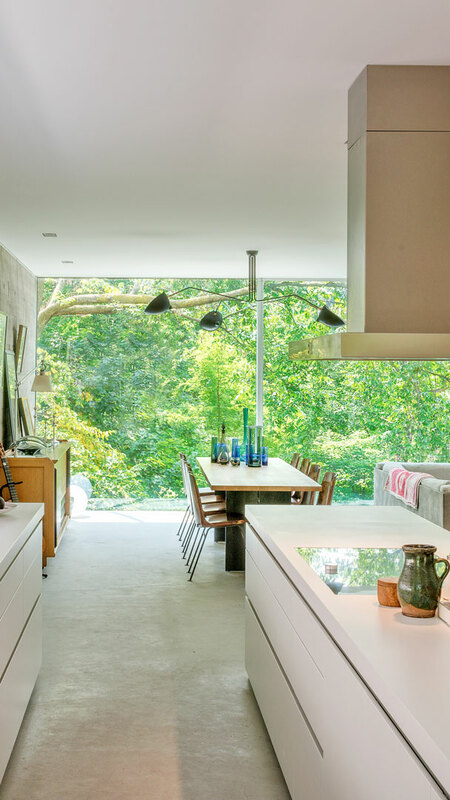 The cantilevered structure of the Concrete House responds to the to the zoning and physical constraints of the ravine site and to the owners’ requirements to connect indoor and outdoor spaces. 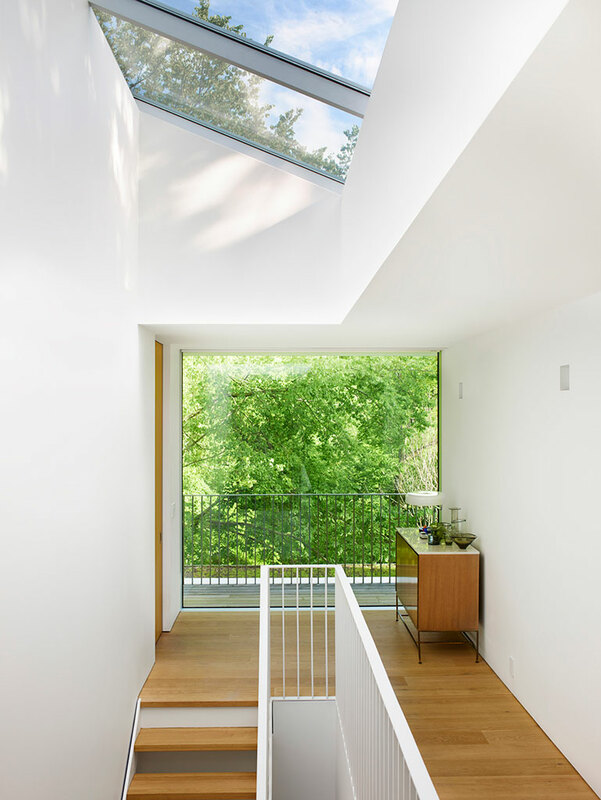 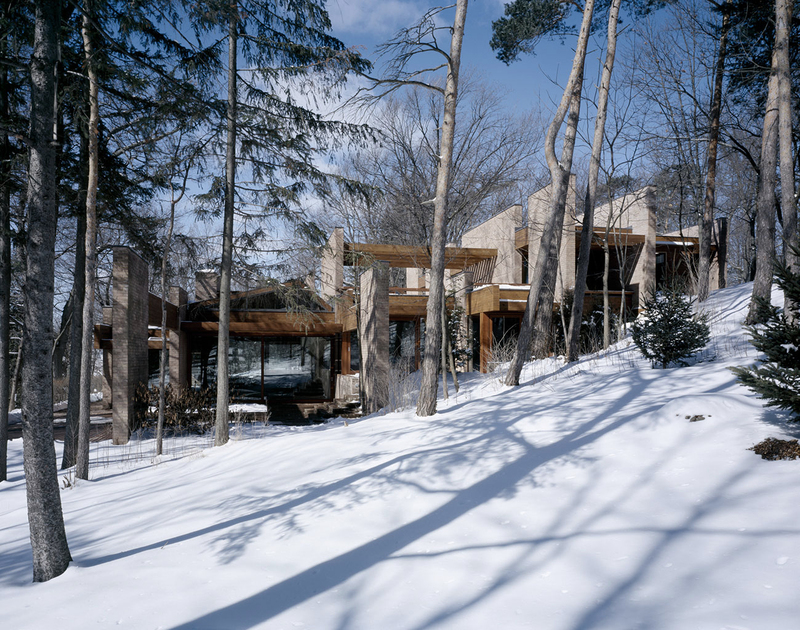 The footprint of the lower floor is minimized to maintain the setback from the stable top of slope while the middle volume extends towards the ravine, placing the main living spaces within the treetops. 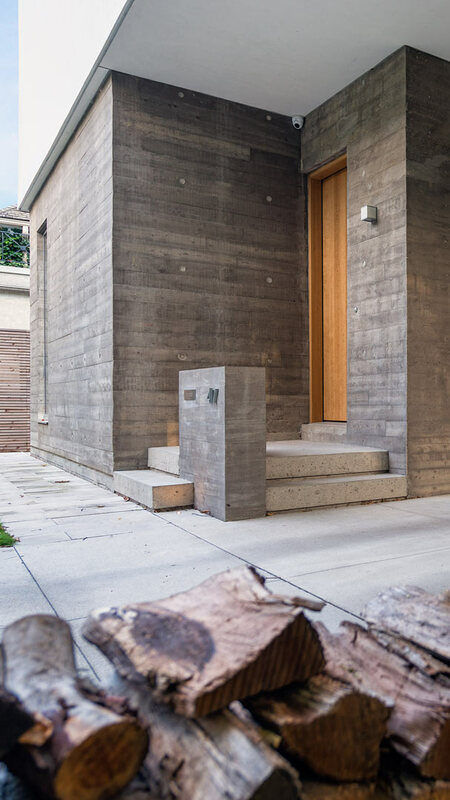 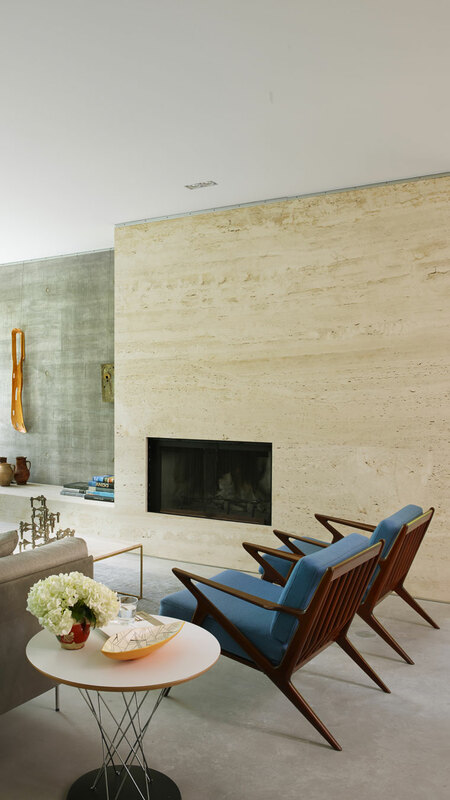 Board-formed concrete is the predominant finish in the house and is achieved through a system of cast-in-place concrete sandwich panels which allows the entire wall assembly to be completed in a single casting. 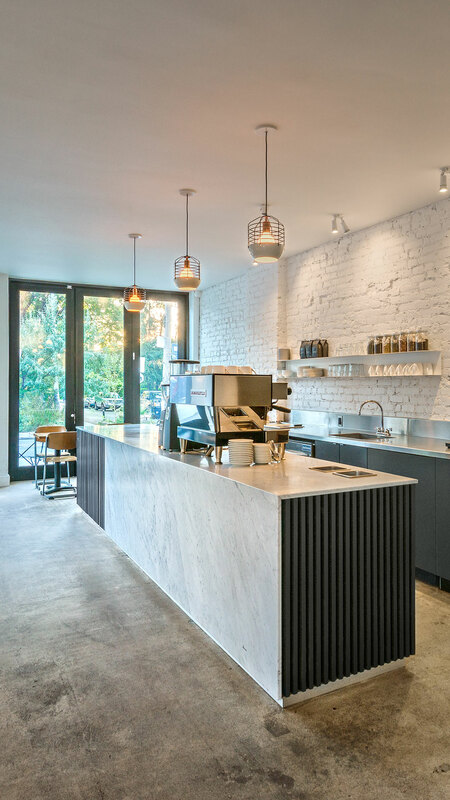 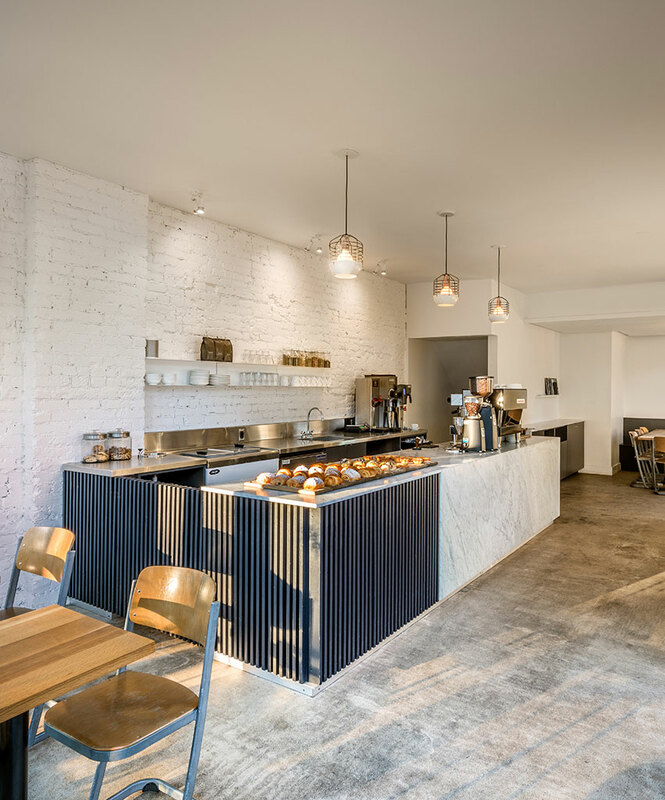 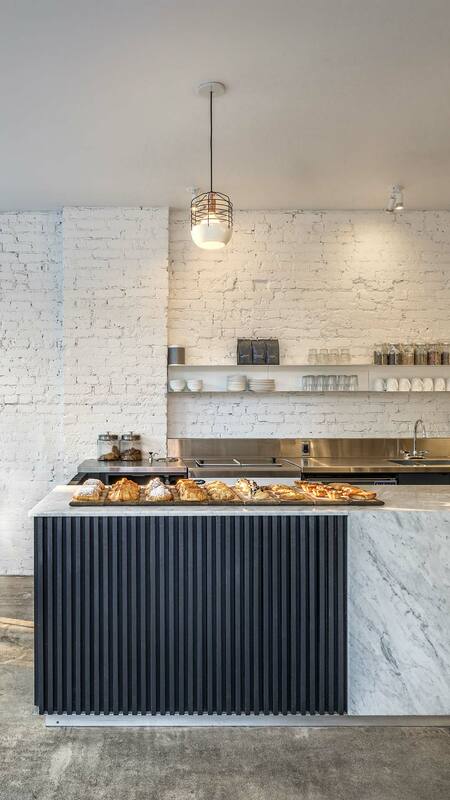 At just 40 square meters on the ground floor and with a modest budget, the design of this cafe called for an efficient plan and careful selection of materials. 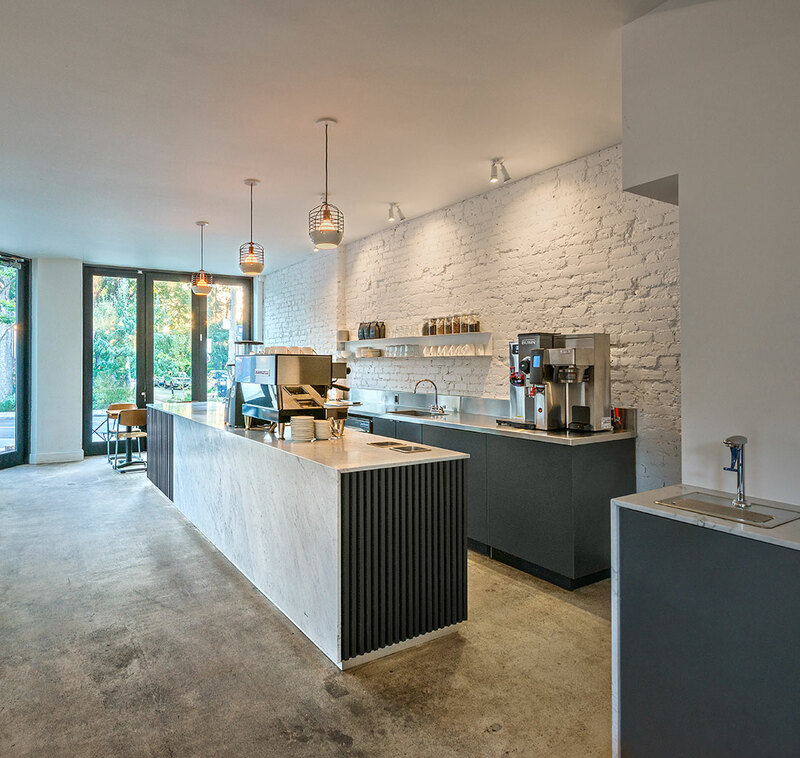 Durability of finishes was key - natural stone was used at the transaction areas where customers come into direct contact with surfaces and otherwise dark-coloured, custom millwork is used below counter height. 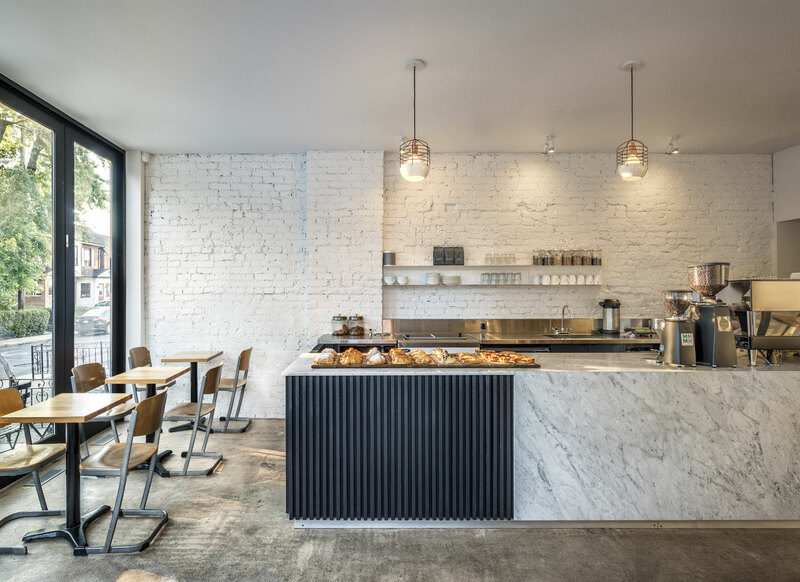 The removable, wood slat ceiling at the back of the space conceals the mechanical equipment and defines a seating area for larger groups with added acoustic benefits from the ceiling profile. 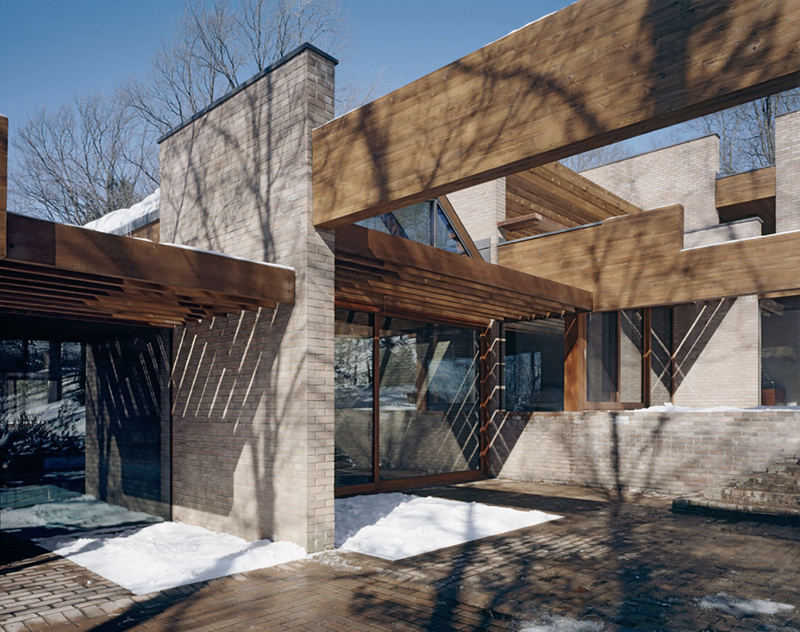 The extensive restoration and renovation of Arthur Erickson’s 1973 designed Hilborn House repaired the aging building envelope and responded to the client’s program requirements while maintaining the character of this modern Canadian icon. 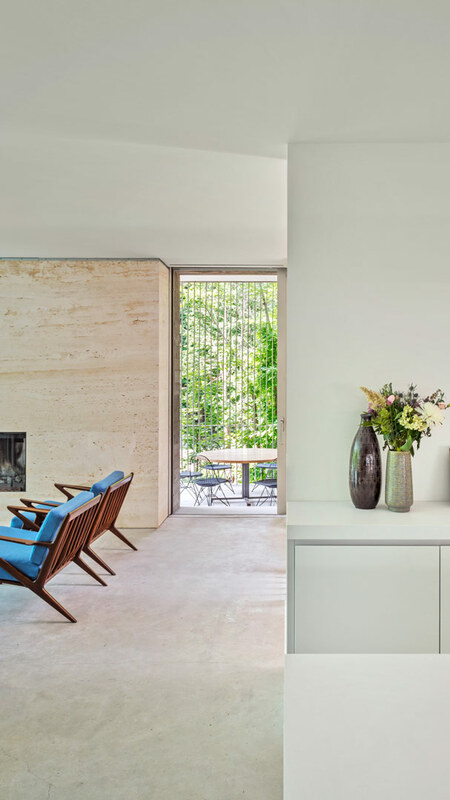 In replacing the entire roof-scape of decks and gardens and all of the exterior timber elements of the house, it was possible to restore many of the original details that had been changed over the years. 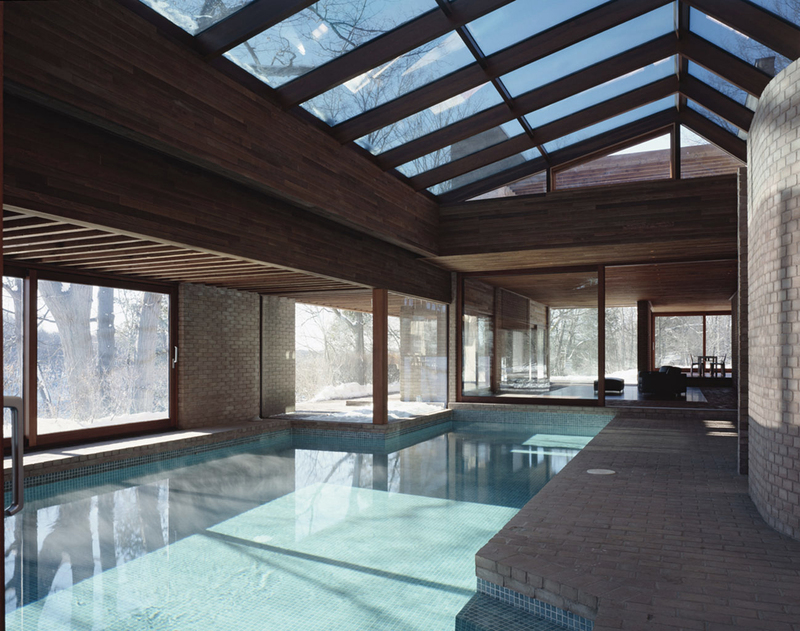 Alterations from the original design include the installation of wood framed windows and doors, new skylights over the pool and atrium and, revisions to the layout and finishes throughout the kitchen and master bedroom suite. 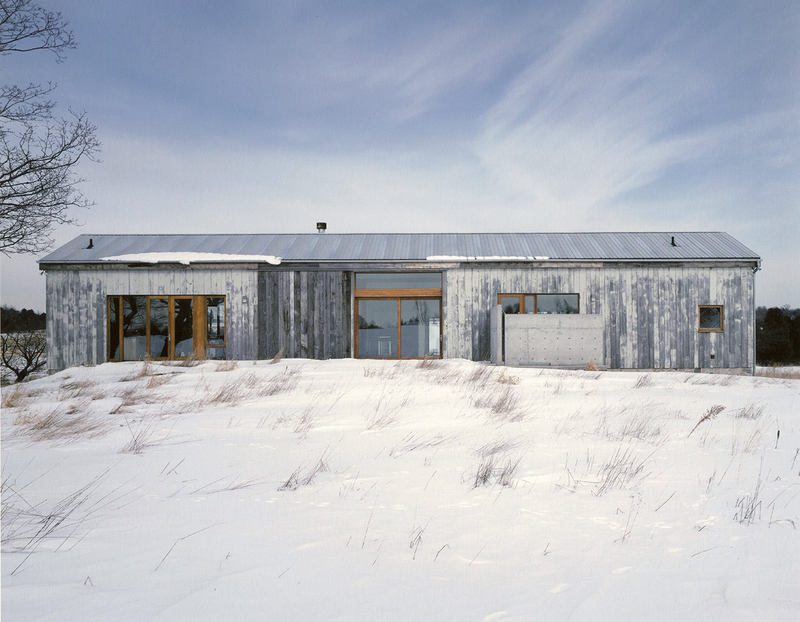 The conversion of this post and beam barn into a year-round residence and workplace began with the complete dismantling of the original structure to provide new foundations. 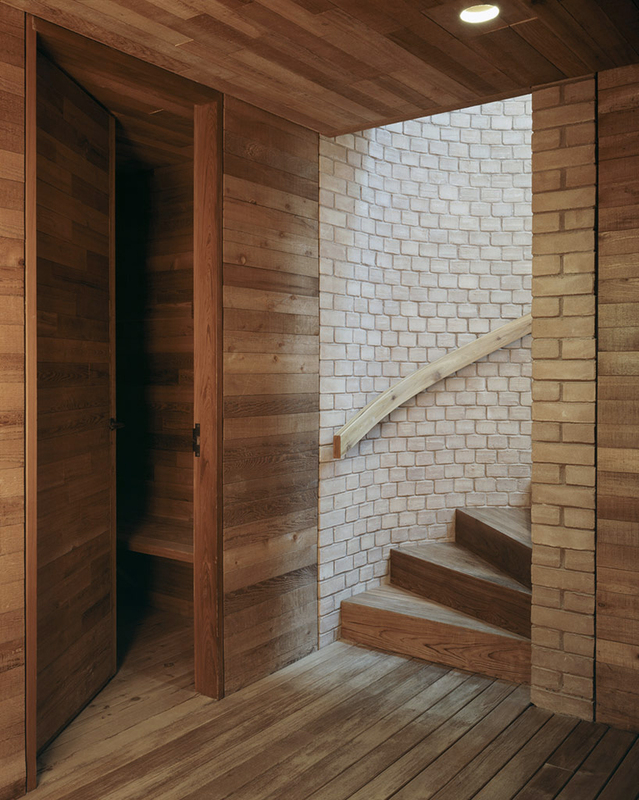 Original materials – barn board cladding, structural timber and stone foundations – were catalogued and stored to be reassembled in a building with the same footprint and form as the found structure. 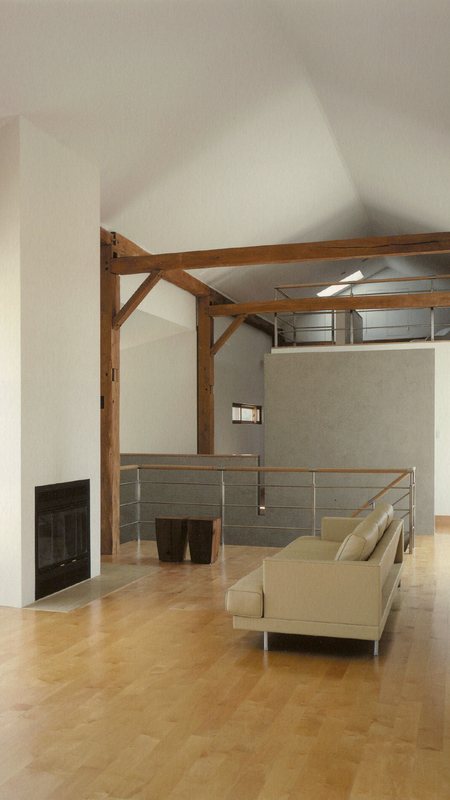 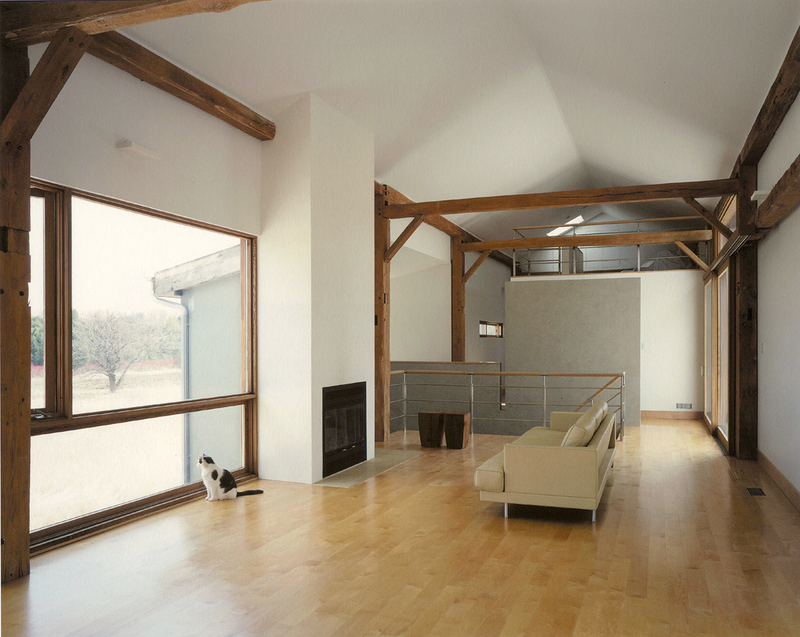 Salvaged timber posts and beams are fully exposed on the interior and continue to function as loadbearing members. 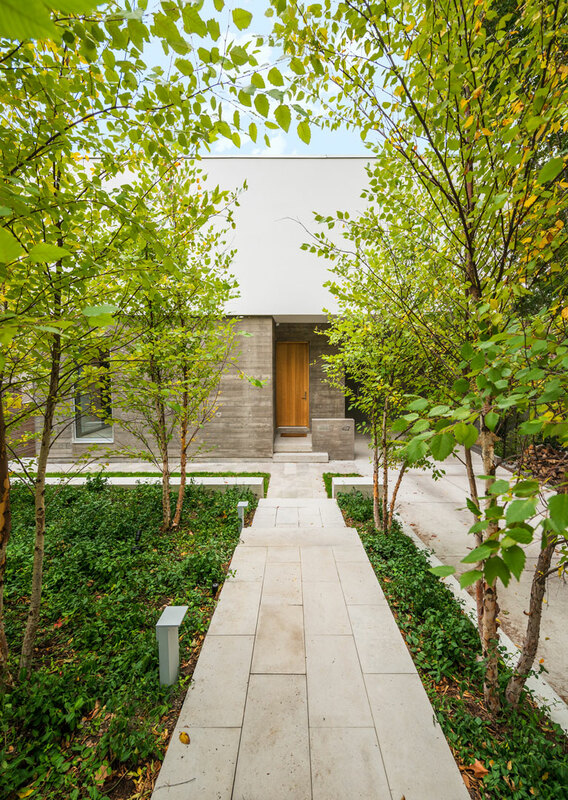 Angela Tsementzis Architect was established in 2010 by principal Angela Tsementzis. 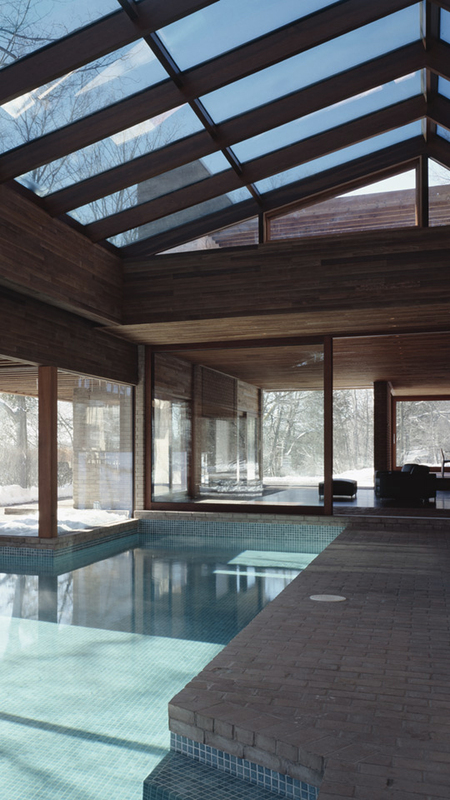 Her work encompasses the full sensorial experience. 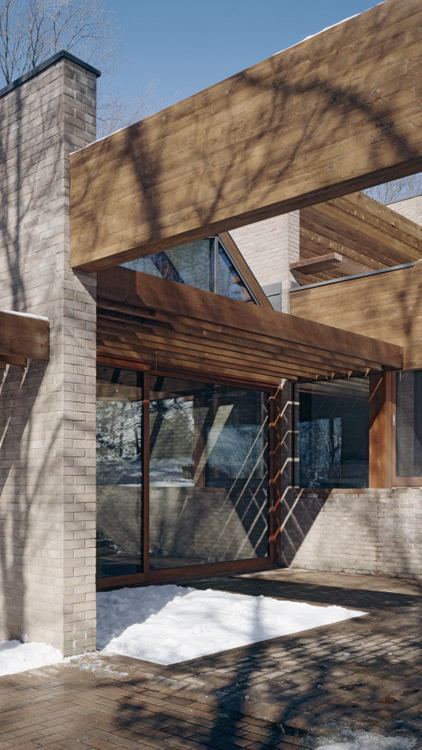 She crafts light, shadow and space to create a memorable, narrative path through a building. 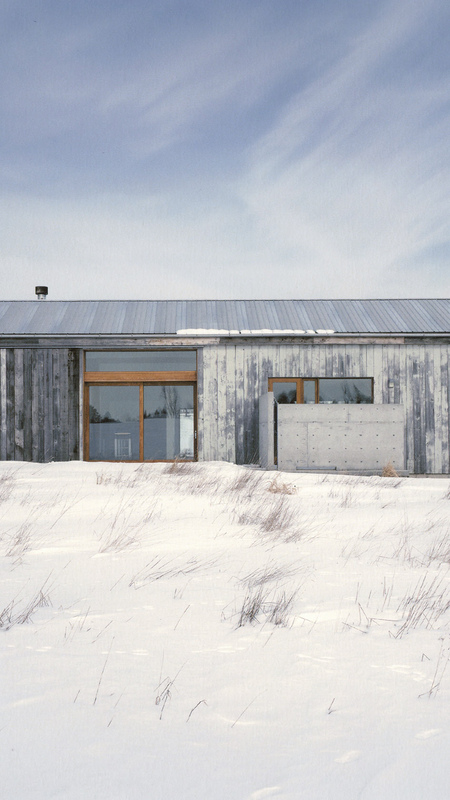 Her work uses tactile, texture rich materials that are tantalizing to the eyes and inviting to the touch. 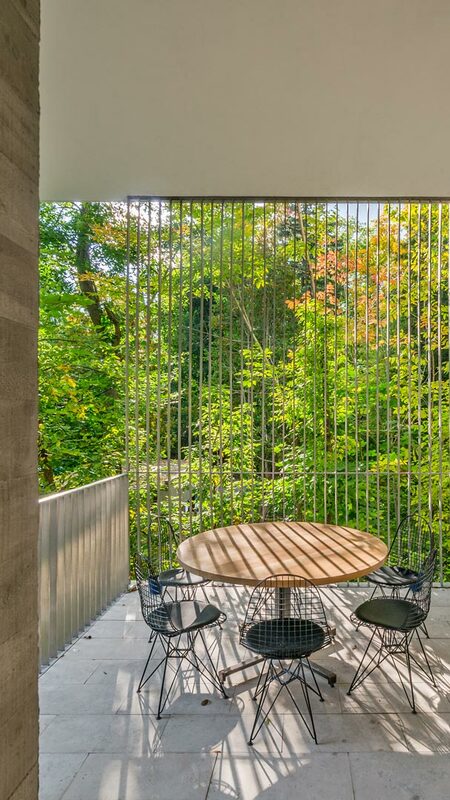 Siting is another prime consideration, encouraging visitors to be immersed in the singularity of the locale — secluded perches where one can contemplate the rustling of the trees and the ever-changing foliage beyond. 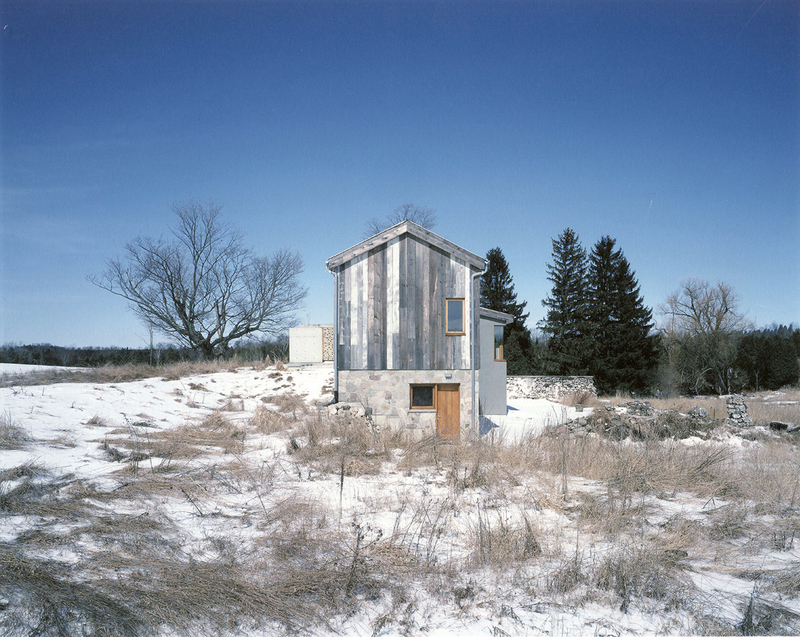 Tsementzis developed her approach at the University of Waterloo School of Architecture, where she completed her degree with a focus on phenomenology — a philosophy that is fundamental to her practice. 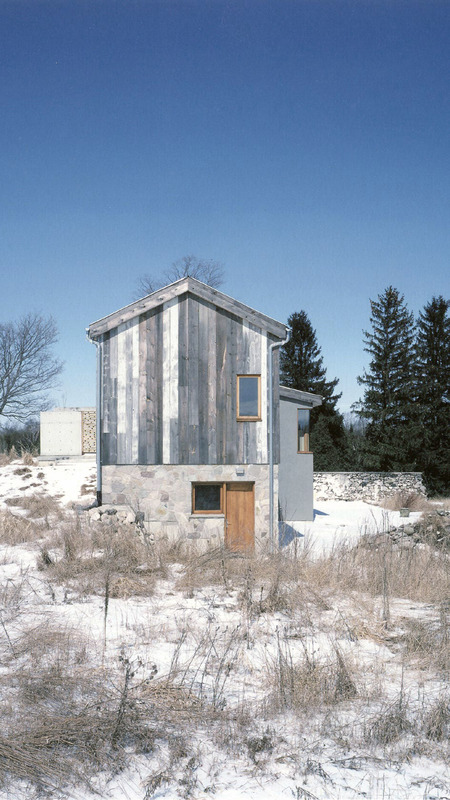 Her design sensibility further evolved by working on a number of restoration and re-use projects. 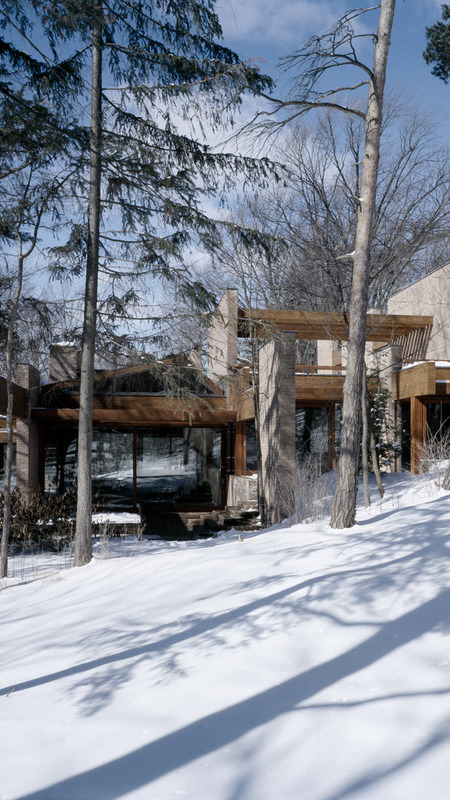 The most significant being Arthur Erickson’s Hilborn House, where she revived the structure to its original sheen with the rigor of an archaeologist, and enhanced key features with her own creative ingenuity. 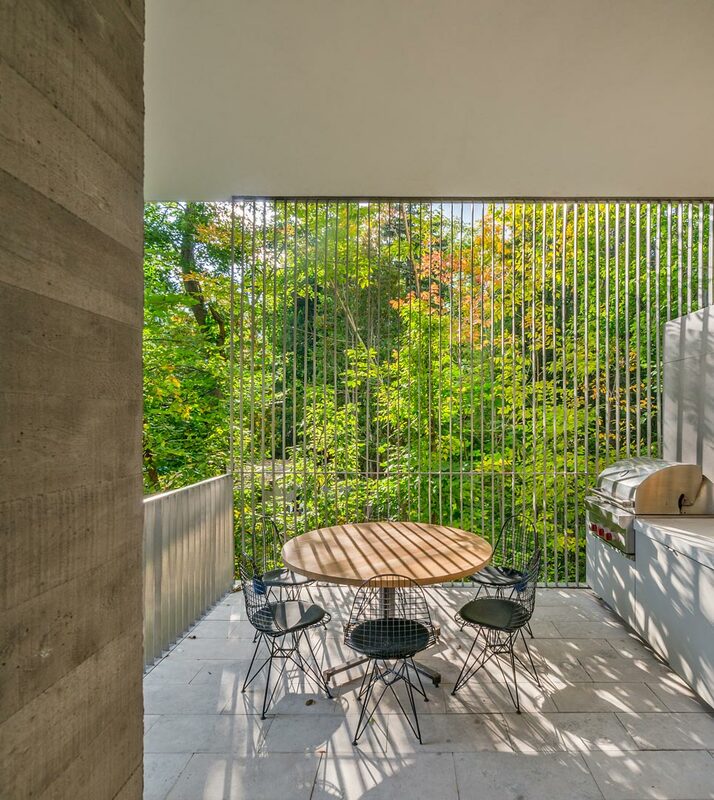 Now that Tsementzis is focusing on new-build commissions, she continues to expand on her deep education with a thoughtful, highly innovative methodology for creating spaces that speak poetically to occupants, and reveal the poetry of their locations.